Cradle of the Renaissance and home to some of the greatest masters of the arts the world has ever known, Florence is a showcase of magnificence. 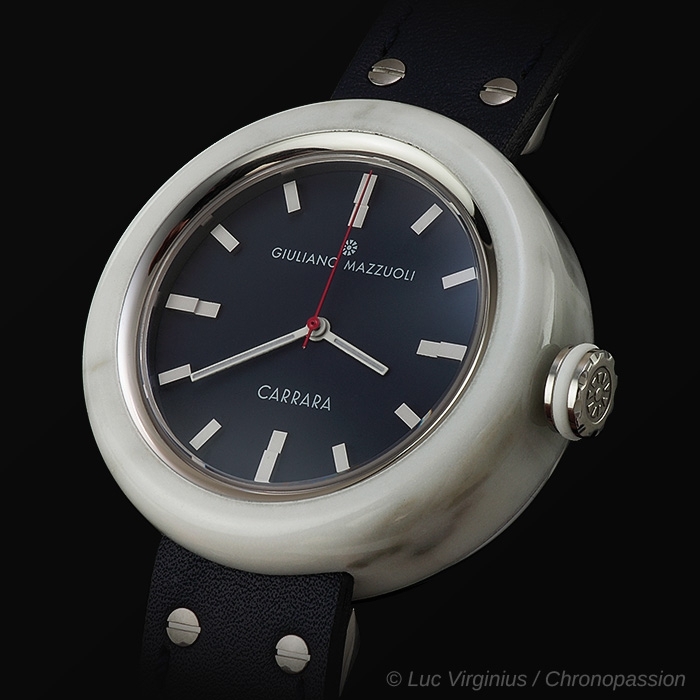 Giuliano Mazzuoli is proud of his Florentine roots, and when asked what does the wondrous place he comes from inspire him to create, this time the answer comes from a piece of marble extracted from the caves of the Apuan Alps in Carrara located just 100 km from Florence. It is where Michelangelo personally went to select the marble to make his stunning sculpture of David that proudly stands at the Galleria dell’Accademia of Florence, and it is where the Romans extracted the marble to build some of the most impressive buildings of Ancient Rome including the Pantheon. Carrara marble is universally recognized as the most prestigious marble in the world, and it is typically characterized by its white color and dark gray veins of varying tones. 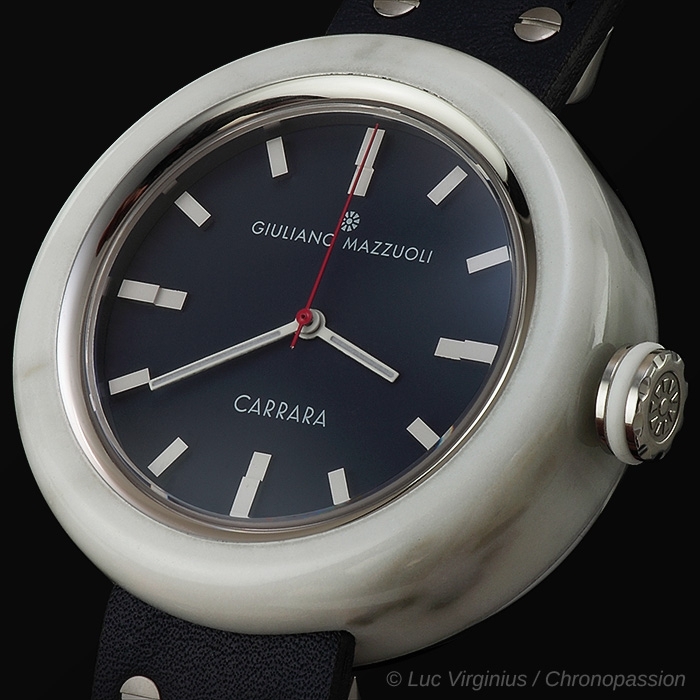 Each lot of marble is different and each stone has its own characteristics making every piece of Giuliano Mazzuoli’s Carrara watch unique. 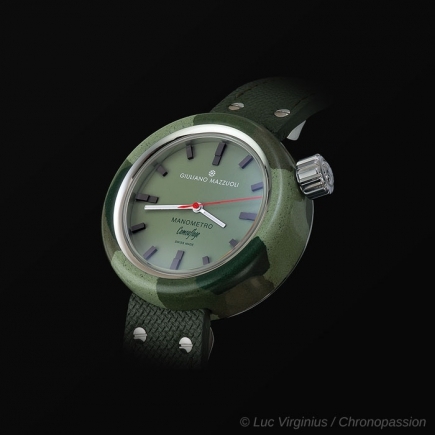 In manufacturing the watch, Swiss watchmaking is combined with traditional Italian craftsmanship and design making an exclusive timepiece. 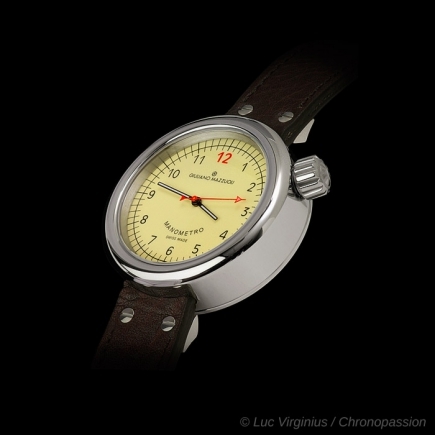 The marble case, made manually in Italy by master marble workers, houses a high-performance Swiss automatic movement. 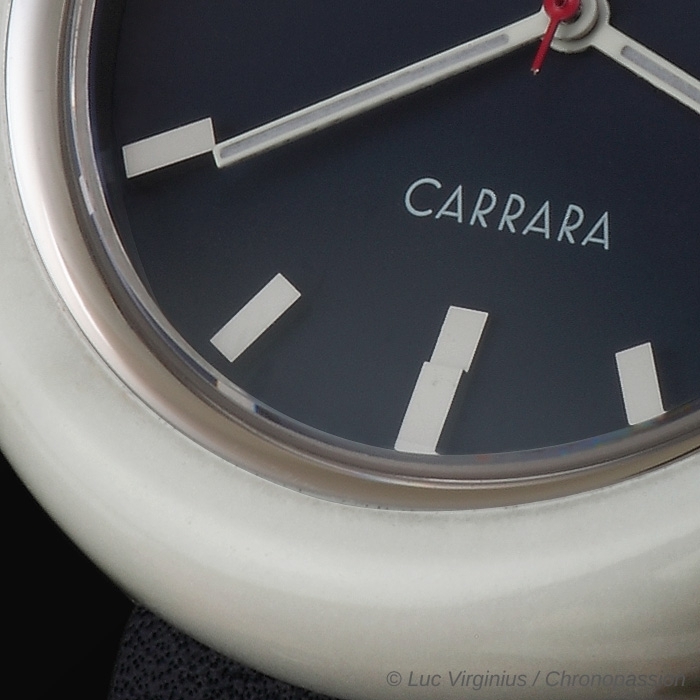 A metal ring is inserted into the inner chamber and when bonded to the marble it strengthens the structure making it less susceptible to breakage. 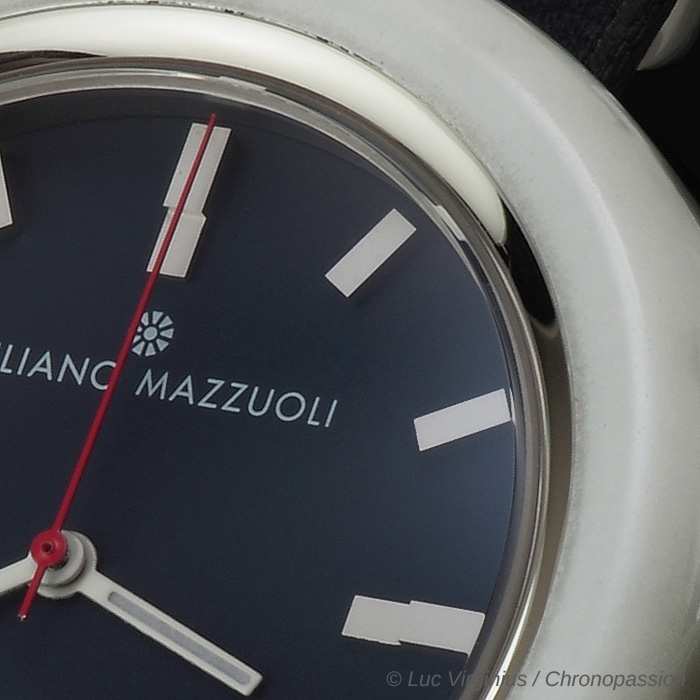 Unlike other Mazzuoli watches, the crown in this watch is positioned at 3 o’clock giving the watch more of a classic and traditional feel. 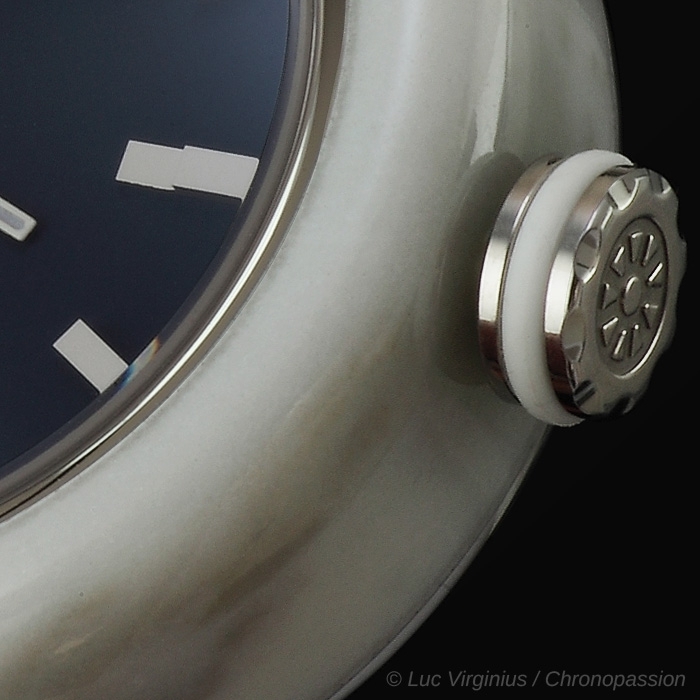 The large dimension crown is decorated with a white rubber “o” ring making it even easier to grip. 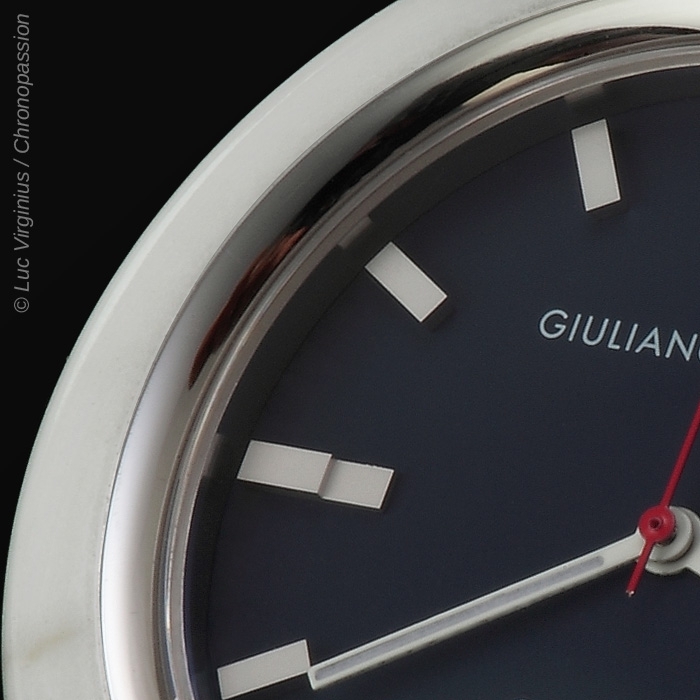 The dial is in ceramic gun metal, blue or white color. 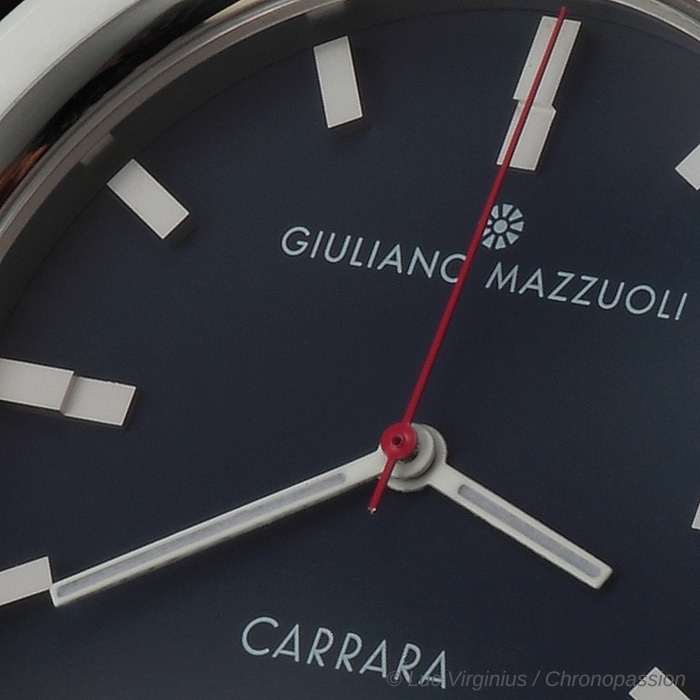 The cuboid rectangular minute indexes are raised giving a three-dimensional aspect to the dial. 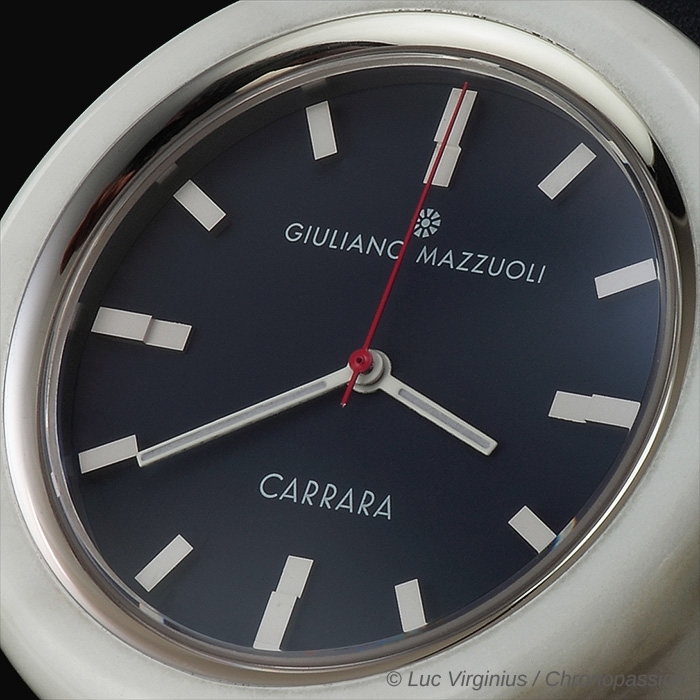 As is typical in all of Giuliano Mazzuoli watches, the strap is inserted directly into the case and it is made in Tuscany in calf-skin leather. 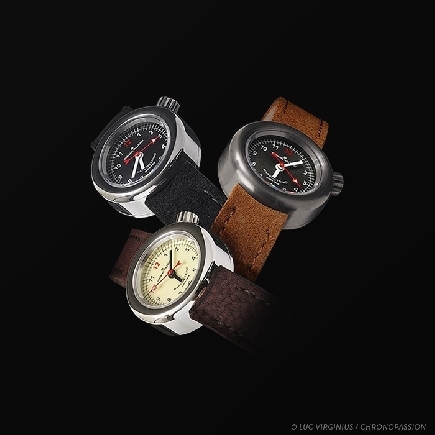 A steel deployant buckle firmly and comfortably holds the watch to the wrist.